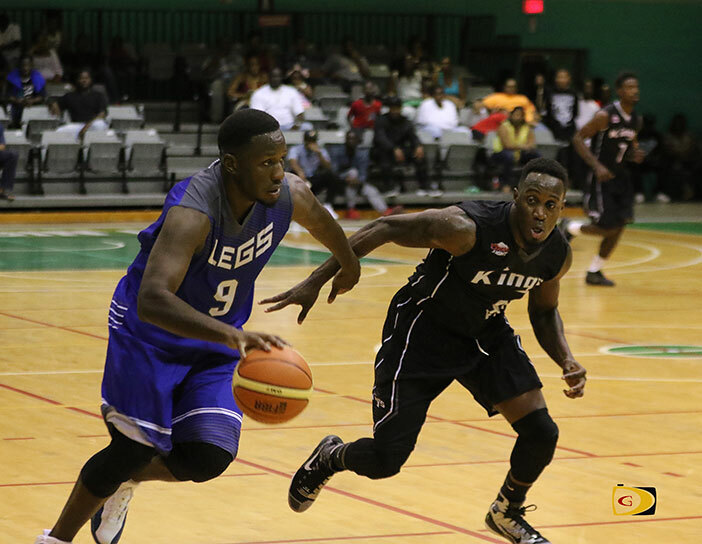 Legs, the BVI Basketball Federation League most dominant team over the last 15 years, opened their account in defense of their title by holding off the Kings, 81-70 during Saturday’s season opener. 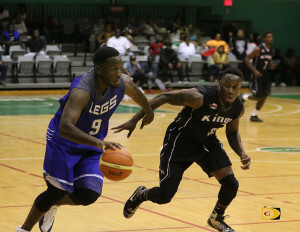 Eyeing a quintet of successive tiles, Legs who led by as much as 21 points before the Kings made a late fourth quarter run to pull within six, 73-67 with 3:48 on the clock, have locked down the Sr. Division championship since 2011 including swept the Kings in 2014 for their eight league title since 2001. There was no league last year. Kings assistant coach Cameron Young, said they were hoping for a victory against the champs to whom they lost in 2014. Kelvin Solomon was their leading scorer with 22 points. Sean Woods dropped in 12. Norman said winning another championship would be special—especially for him. “As a person who used to play with this team and now became the coach of this team and never lost with the team, it will be a really big accomplishment,” he said. In the Jr. Division game, Deanglo Sampson had 21 points, Josah Victor 13 and Malique Wattley added 11, as Another Level rolled past Young Stars, 80-62. Tafari Winchester was the Young Stars’ leading scorer with 18 points. DeQuante Dabreo and Kasen Willie added 11 points each to the tally. Oscar Herriera contributed another 10. Dmoi Hodge dropped in 35 points as the Stingers blew out the Celtics 109-68. Tyler Cameron followed up with 22. Tyrelle David had 13 to lead the Celtics scores. All Ah We overpowered Zero Tolerance, 101-55, behind Steve Parillon’s 28 points. Nigel Carey was Zero Tolerance’s lone scorer in double figures with 21.